SBS Bank will lower two of its standard lending rates, effective 9 Feb 2016. Their standard two year fixed rate will decrease from 4.99% (from 5.05%) and the three year fixed rate will drop from 5.10% (from 5.19%). SBS told NZ Adviser the cut to its fixed rates was made to remain competitive in the marketplace across all of their lending rates. The bank’s two year rate is now level with Westpac and ASB’s two year standard rates of 4.99%, above TSB Bank’s rate of 4.95%. SBS Bank’s three year standard rate is also on par with ANZ and Westpac’s three year of 5.10%, below ASB and TSB at 5.25%. SBS Bank also announced it will be offering a market leading interest at maturity funding rate of 3.60% p.a. fixed for 9 months (quarterly interest rate of 3.55% fixed for 9 months). To increase the attractiveness of their Incentive Saver, the bank is also increasing the total rate increase to a market leading 3.25% (from 3.05%). 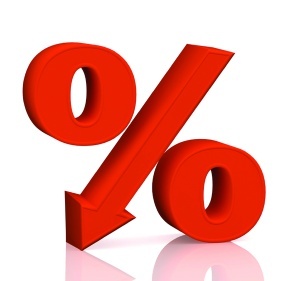 The bonus rate is increasing to 3.10% (from 2.55%) and the base rate is decreasing to 0.15% (from 0.50%), effective today.